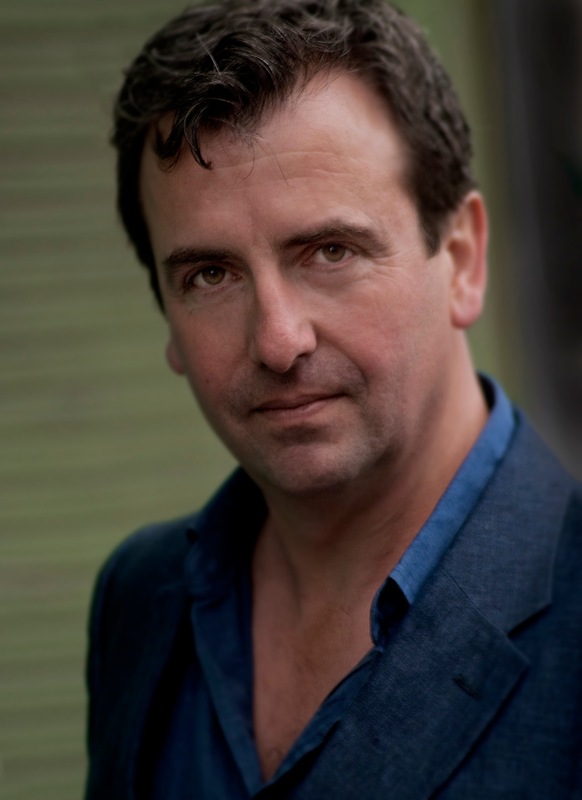 Middling English explores some of the pleasures and complexities of language use, in and through writing. The exhibition brings together multi-sensory elements – spoken pieces, audiophonic compositions, printed broadsides and the strange memory world of pop lyrics – all presented through a stunning architectural installation. […] Middling English pursues [Bergvall’s] interest in speech detail, language histories and politics, verbal eclecticism and inventiveness derived from various kinds of cultural displacement […investigating] modes of writing, from the printed letter to a loose realm of visual, audio, kinetic and perceptual writing and reading environments. Bergvall combines Chaucerian contemporaneity with bilingual audioworks and spatial structures. 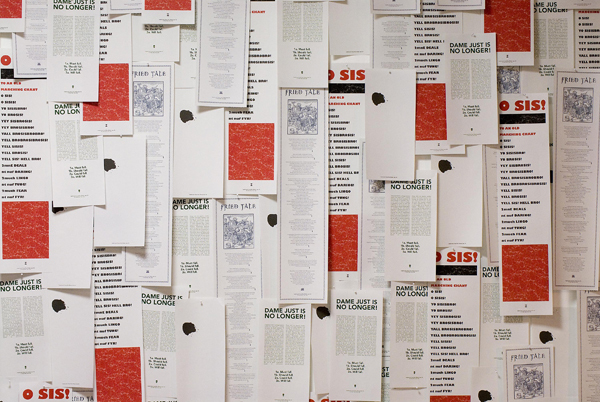 Here (right) is the gallery’s photograph showing a detail of the wall of broadsides that Caroline Bergvall had written and published for the show. The closing event on 23 October was chaired by Claire MacDonald who also gave a presentation, as did Caroline, Gabriel Gbadamosi and myself. Presentations were necessarily brief. 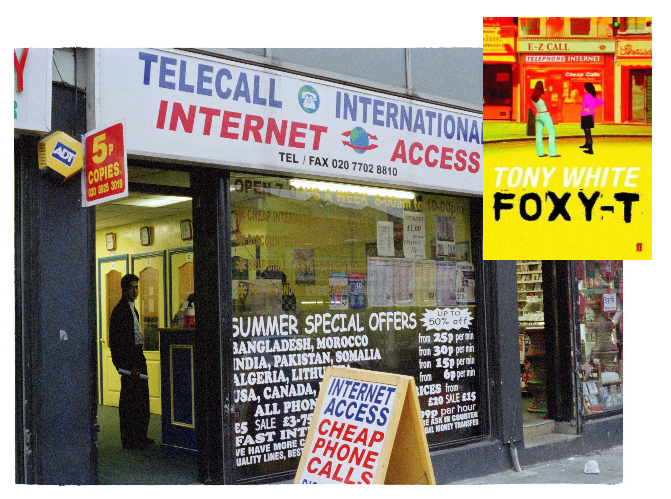 I chose to pick up some themes that I wrote about on this blog back in July of this year, in relation to my novel Foxy-T and the poetry of Linton Kwesi Johnson. I wanted to link these also to Ivy4Evr, my collaboration with Blast Theory for Channel 4, by focusing on a quite slight yet particular genre of response that emerged in common to all three and which can be described as a projected fantasy of exclusion. Since notes for a slide show might form a particular mode of writing and a type of ‘reading environment’ in themselves, I wondered if there might be value in sharing those notes in their raw form, as a companion piece to the presentation itself. Here, then, is a quick edit of the notes that I made for my presentation at the John Hansard Gallery, together with screengrabs of some of the slides. 3 key points about Foxy-T? Ephemeral economies; an empty shop unit in a moment of flux (sweatshop, internet shop or gallery); rupture with the identity politics of the 1970s and ’80s. Caroline’s comment about ‘writing that is aware of its history’; the Black Atlantic in London. Intro audio: excuse quality. R4 Today Programme; A-Level results day 19 August 2004; 08:10 feature on declining standards; interview with David Milliband then brought me on to defend those declining standards? My interview curiously absent from the Today Programme‘s otherwise exhaustive Listen Again archive – here’s a home-made copy from audio cassette. The voice of a powerful institution — invocation of a normative majority, ‘us’, for whom Ed Stourton was claiming to speak. Reversal of the then current cultural and social policy language of social exclusion. Who is this ‘us’ that is being excluded? 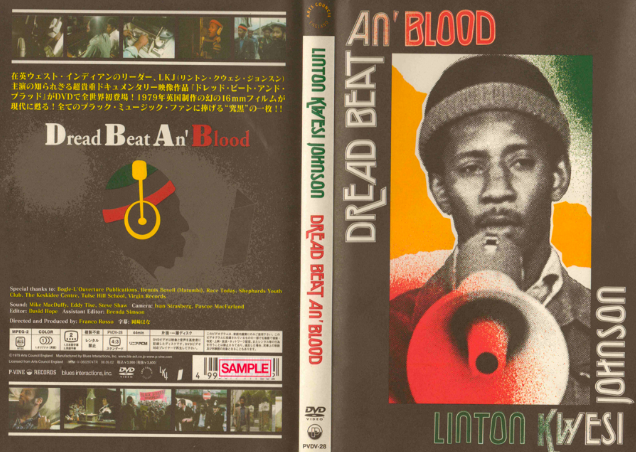 Intro over musical interlude/Brixton market scene: An extract of the documentary Dread, Beat an’ Blood, dir. Franco Rosso for the Arts Council (Arts Council Film Collection). This is from a Japanese DVD but you can get this bundled as a DVD extra in some editions of Rosso’s 1980 feature film Babylon. Well worth getting hold of. Radio studio reading into interview. 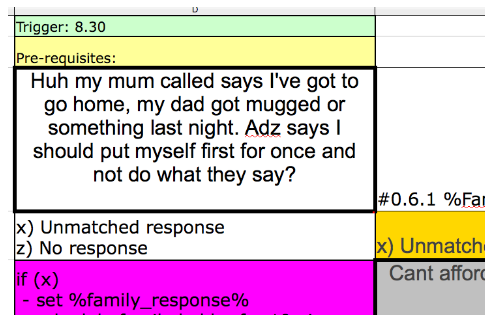 Ivy4Evr — interactive SMS drama for Channel 4 — Blast Theory — written by me. PILOT transmitted October 2010 — ran through one week in REAL TIME. Reasons for SMS: young people no smart phones, rubbish phones but always on. NOT in so-called text speak “L8r” etc/ despite press clichés. Because our research showed that young people don’t use it. BUT use: compression, different registers, tones of voice, colour, rhetorical devices, habitual misspellings — plus some hacker/web slang e.g. LOL — carried over into the script as a PATINA of typo’s and abbreviations. Quick few screengrabs from Ivy4Evr script illustrating some of this texture. Again we saw projections of exclusion. So again, slight but unmistakeable (as with Ed Stourton on the Today Programme talking about Foxy-T, and the unnamed radio interviewer on Franco Rosso’s Dread, Beat an’ Blood): a projected fantasy of exclusion and a call to — or suggested complicity with — some imaginary majority. In this case those of us over 30. Caroline Bergvall’s Middling English exhibition was both generous and generative, as were the closing events at John Hansard Gallery. The conversations continued through the evening, of course, and on the train for those of us who travelled back together. An exhibition publication is promised and I’ll link to this when it becomes available; and similarly if further events emerge from these conversations.